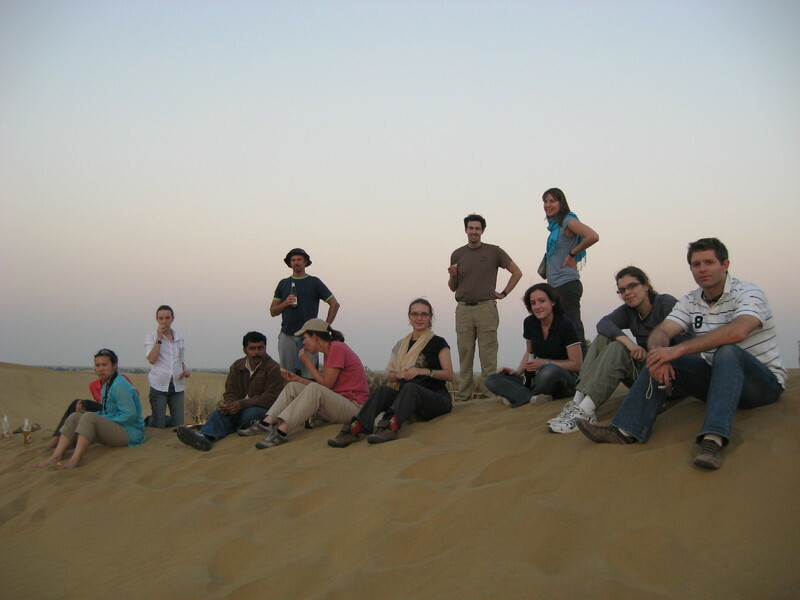 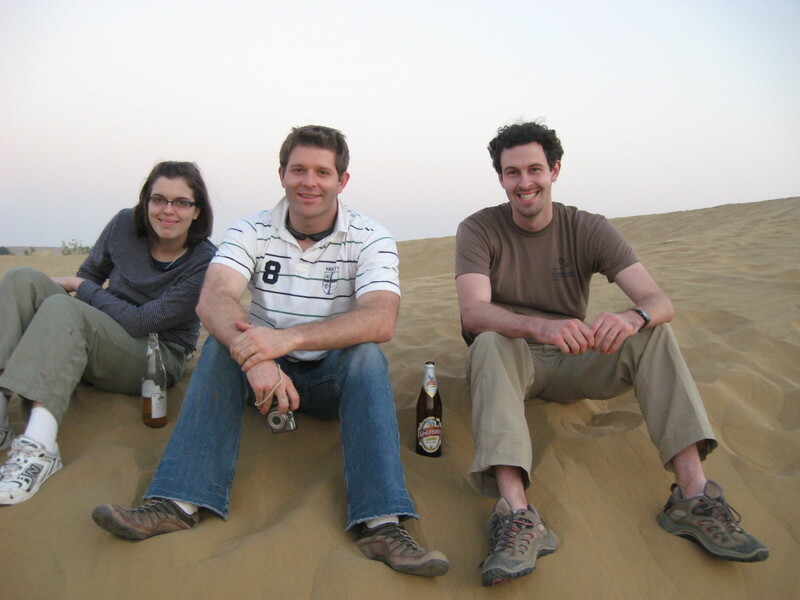 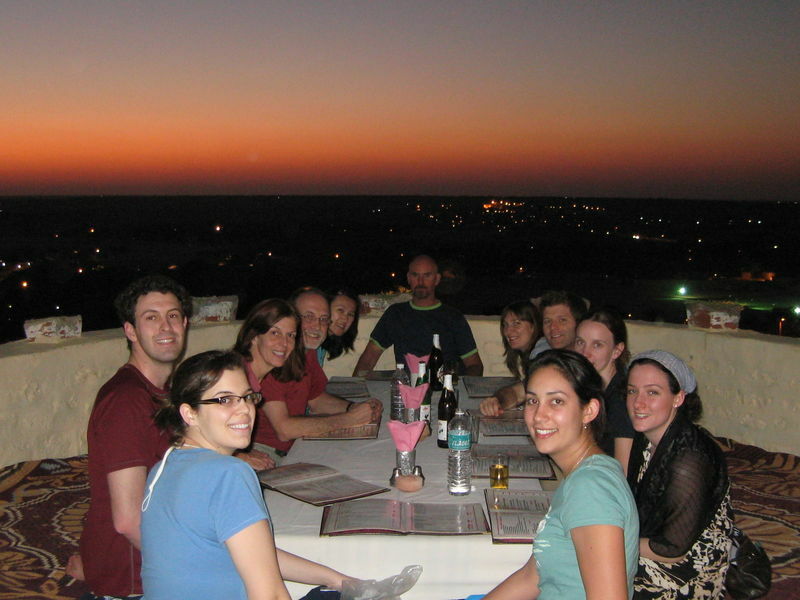 JAISALMER -- DINNER ON THE HOTEL TERRACE! 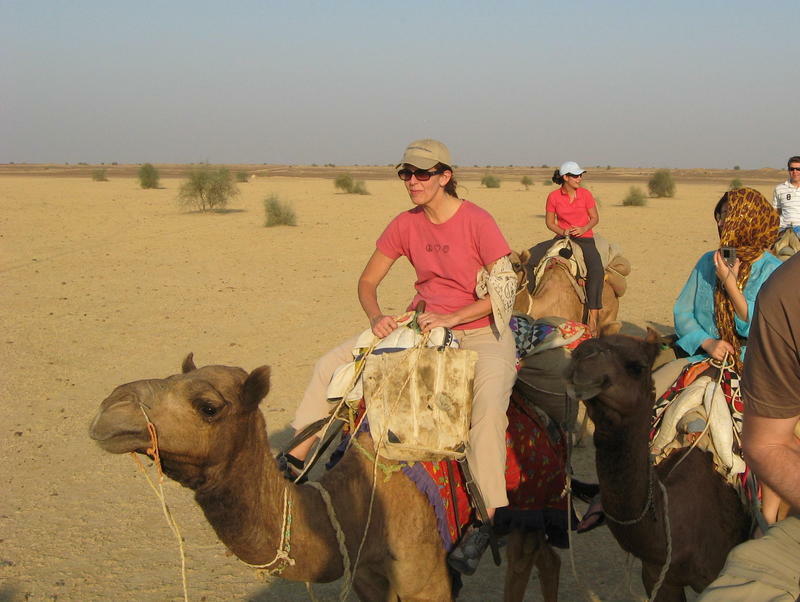 DINESH AND TERESA SHARE A SNACK! 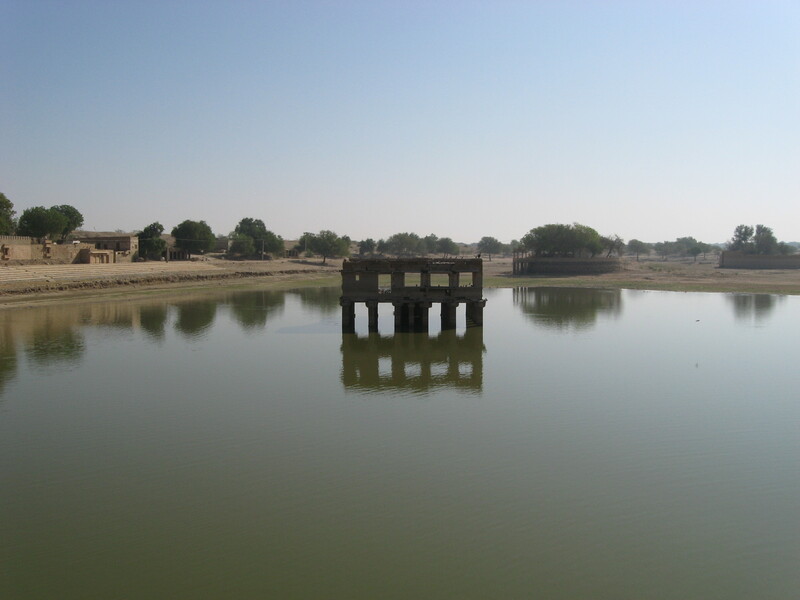 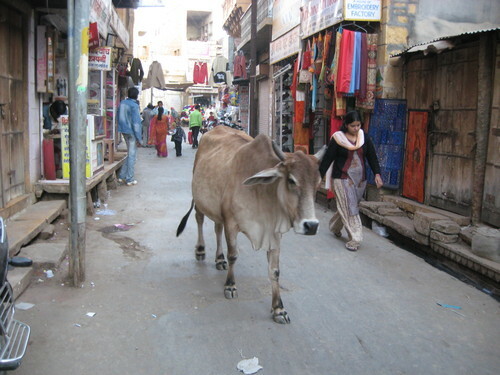 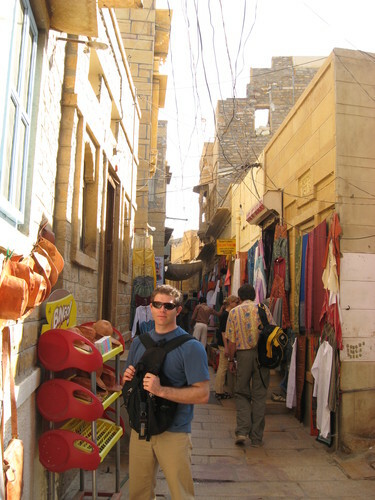 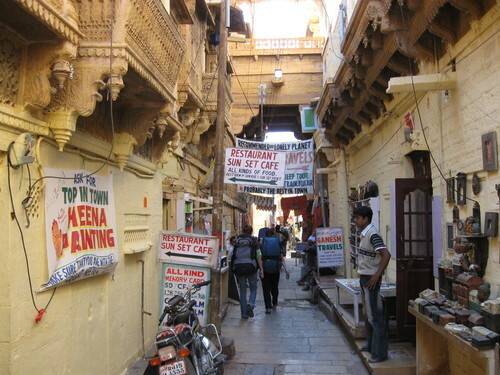 JAISALMER -- THE OLD CITY. 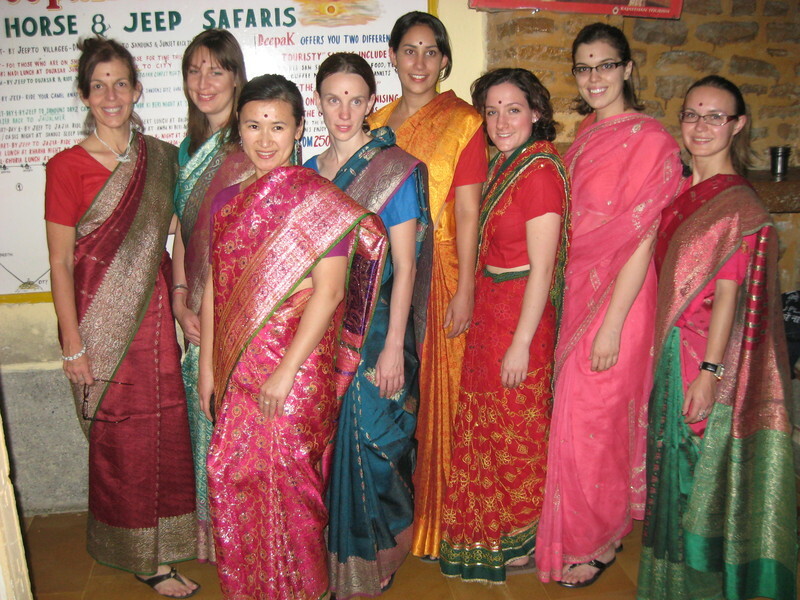 GETTING READY FOR A NIGHT ON THE TOWN! 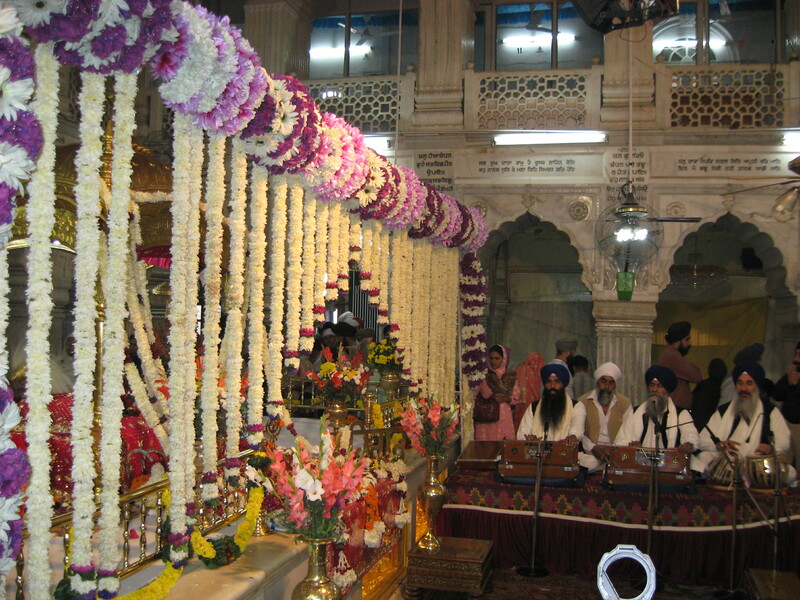 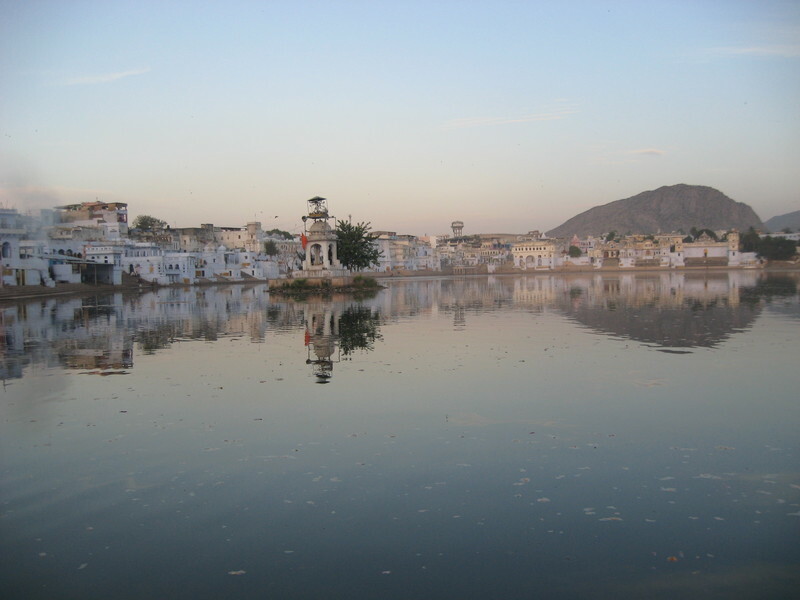 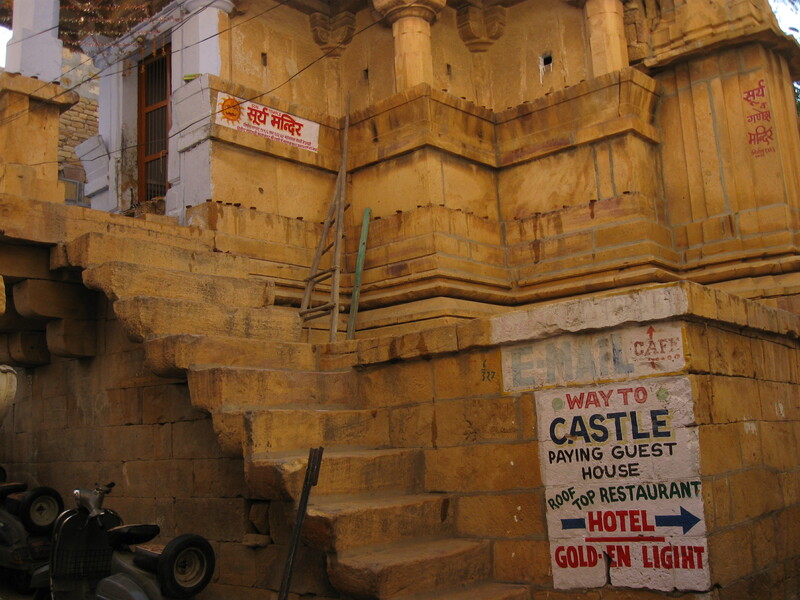 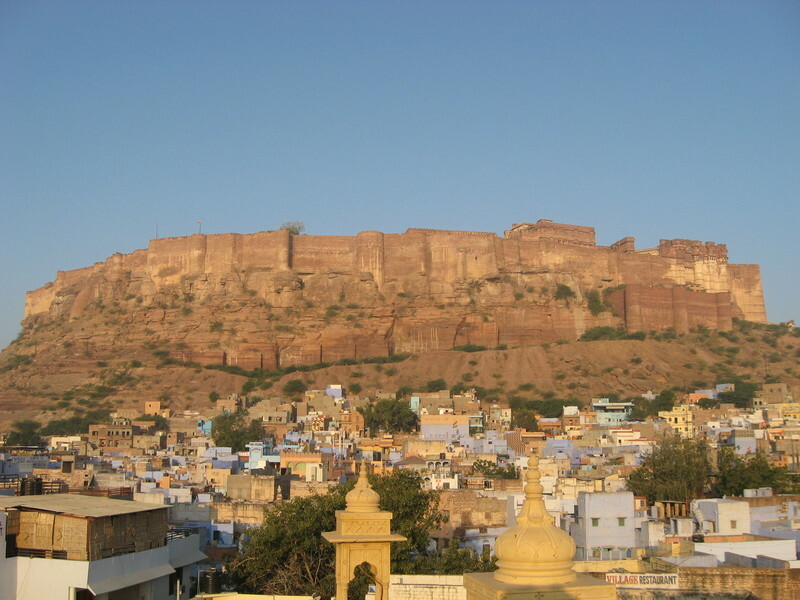 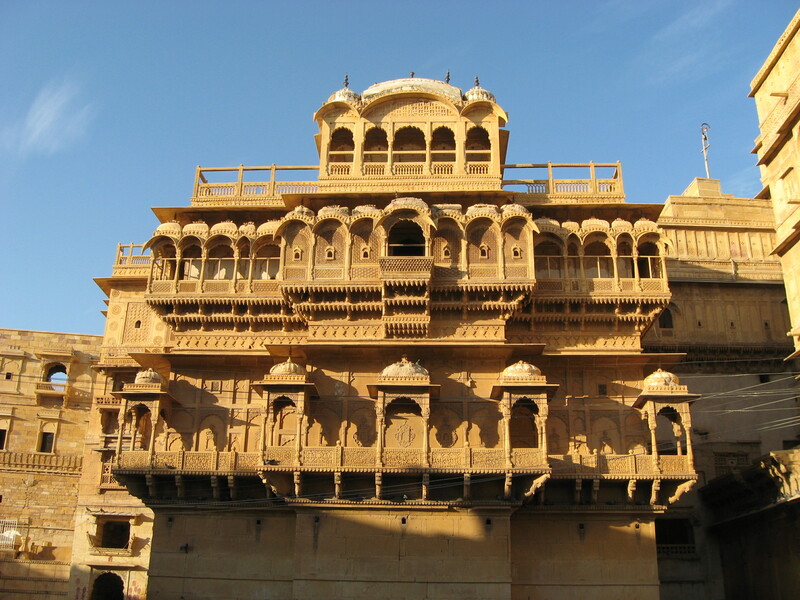 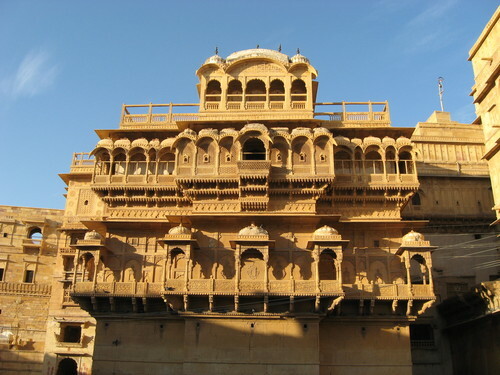 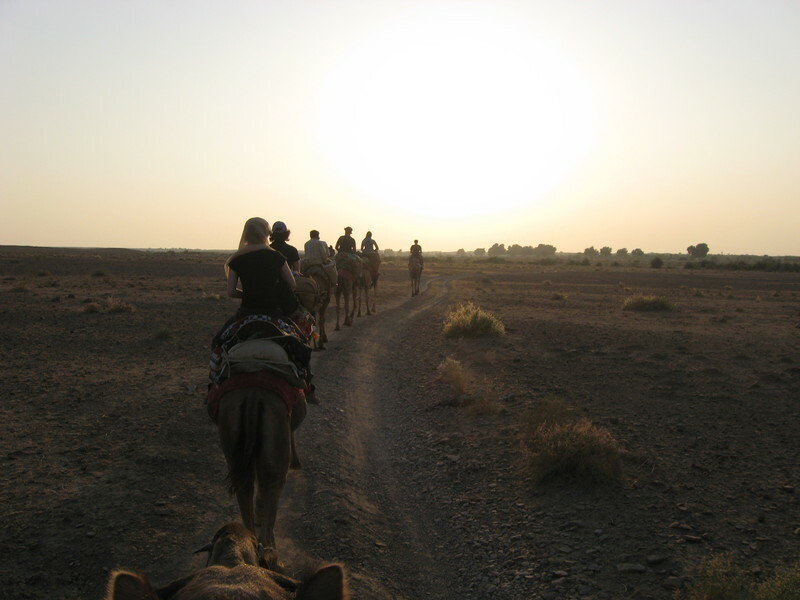 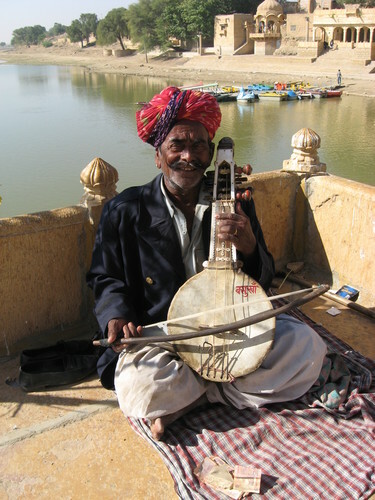 THE WALLED CITY OF OLD JAISALMER SERVES AS A HILLTOP FORTRESS. 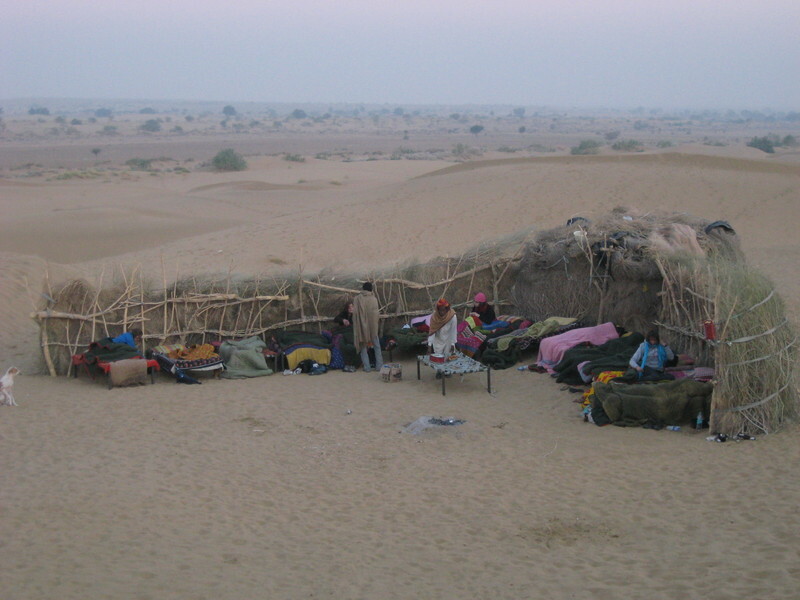 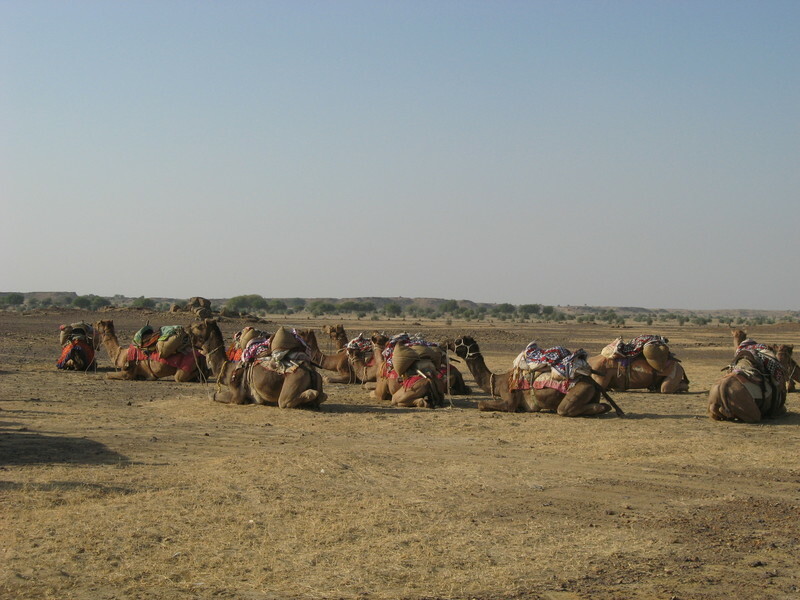 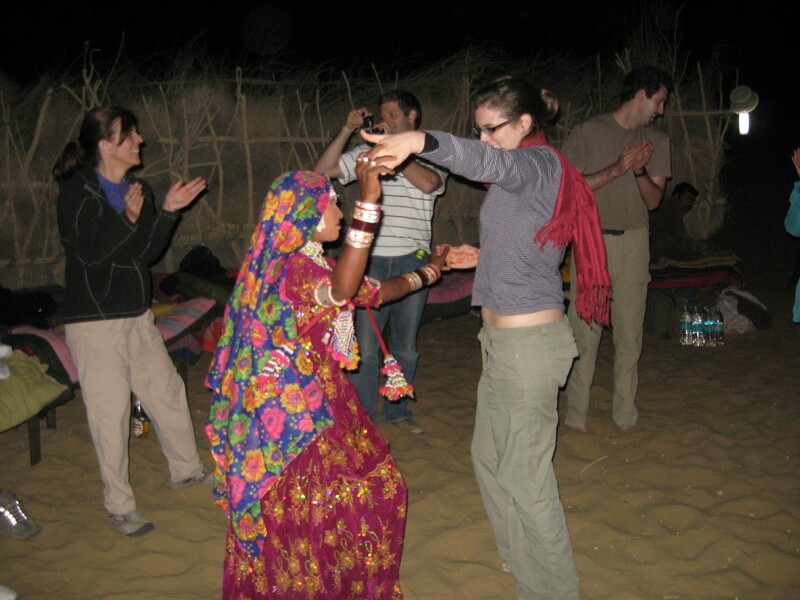 OUR CAMPSITE IN THE THAR DESERT.